Rev. Dr. Luke A. Powery is the Dean of Duke University Chapel and Associate Professor of Homiletics at Duke Divinity School. 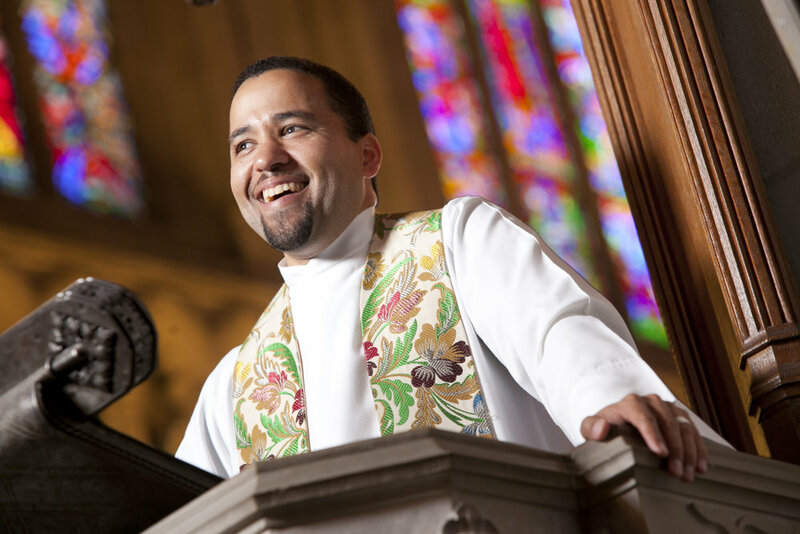 A national leader in the theological study of the art of preaching (homiletics), Powery regularly delivers sermons at Duke Chapel as well as at churches throughout the United States and abroad. He is often a keynote speaker and lecturer at educational institutions, conferences, symposia, and retreats. His teaching and research interests are located at the intersection of preaching, worship, pneumatology, and culture, particularly expressions of the African diaspora. He has written three books: Spirit Speech: Lament and Celebration in Preaching; Dem Dry Bones: Preaching, Death, and Hope; and his latest book Rise Up, Shepherd! Advent Reflections on the Spirituals. He has also co-authored an introductory textbook on preaching, Ways of the Word: Learning to Preach for Your Time and Place. He received his B.A. in music with a concentration in vocal performance from Stanford University, his M.Div. from Princeton Theological Seminary, and his Th.D. from Emmanuel College at the University of Toronto. In 2014, he was inducted into the Martin Luther King Jr. Collegium of Scholars at Morehouse College for his ethical and spiritual leadership in the academy, church, and broader society. He is married to Gail Powery, and the couple has two children. Powery claims that Jesus’s final call to God was more than just a cry of lament; it was a cry of hope. Powery calls the church to value more than just its history and tradition and be reminded of the mission that our baptism has empowered us to do. The God of hope is present in the darkness, the grief, the lament, and the tears. Unmet expectations in our ministries tend to discourage persistence and love. The song of the prophet Isaiah is a reminder of God's greater story.